Mervyn Alphonso is a Senior Vice President of Anchor Health Properties. Mervyn is involved in the firm's acquisitions and management platforms, in addition to the sourcing of new development and management opportunities. Mervyn has significant experience in the healthcare sector. His depth of experience includes development, acquisitions, financial feasibility, site selection and evaluation, and asset management. He spent six years as a Managing Director with NexCore Group. Prior to that, he was a Director with Alvarez & Marsal. He spent time earlier in his career with Hammes Company. He has previously served on the organizing and leadership committee of the BOMA International Medical Office Buildings and Healthcare Facilities conference. He serves on the Board of Directors of Mary’s Center, a nonprofit federally-qualified health center. Mervyn earned his Bachelor of Architecture from Virginia Tech and his Master of Business Administration from the University of Michigan’s Ross School of Business. 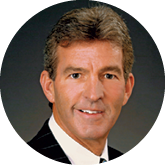 Jim Barnes is an Atlanta GA-based Senior Banker with the Specialty Healthcare Lending team of Synovus Bank. 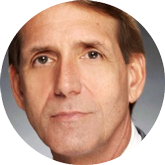 Mr. Barnes is responsible for originating and managing direct and syndicated debt financing opportunities with healthcare developers and investors for construction, miniperm and term structures in medical office, specialty hospital and post-acute facility properties. His exclusive healthcare real estate financing experience spans 20+ years in which he has closed 100+ debt transactions totaling $1.5B+. Chris is a Senior Vice President in the Dallas-Fort Worth office of Colliers International. His expertise includes market analysis, site procurement; portfolio cost reduction evaluation, consulting, and lease/contract negotiation for companies within the healthcare industry. He is a leader and a top producer in this field and has been instrumental in developing and servicing material accounts. Prior to joining the firm in May 2015, Chris was a top producer with CASE Commercial Real Estate Partners in Dallas. He represented and assists local, regional and national healthcare companies with managing their real estate portfolios. Before starting with CASE in 1998, Chris was a top producer of acquisition and disposition division for Southwest Properties Group where he developed and managed a national acquisition program for the firm. Previous to that, he worked with Randy Heady and Company where he was a top producer and director of the local and national tenant representatives division. Gant Braley is Executive Vice President of Leasing. He joined Rendina in 2002 and has worked on more than 25 properties for the company spanning 11 states. His responsibilities are focused on identifying healthcare real estate opportunities for Rendina in the central states region and new medical office building leasing for select properties across the country. Gant is a graduate of Southern Methodist University with a Bachelors of Business Administration degree in Real Estate Finance. He and his family are members of Northpark Presbyterian Church, and he serves as President of his neighborhood association located in the Dallas community of Lake Highlands. Lawrence (Lory) Brin is a Managing Director in MidCap Financial’s Real Estate Lending group, and leads MidCap’s medical office building and outpatient facility lending platform. He also has responsibility for MidCap’s efforts in the seniors housing and skilled nursing sectors in the eastern United States. MidCap Financial is a middle market-focused, specialty finance firm that provides senior debt solutions to companies across all industries, with a strong expertise in healthcare. Lory joined MidCap at its inception in 2008. He previously was a member of the real estate team of Merrill Lynch Capital Healthcare Finance. Lory began his career practicing corporate law at the New York law firm of Simpson Thacher & Bartlett LLP. He holds a J.D. from Columbia Law School, where he was a Harlan Fiske Stone Scholar, and a B.A. with Honors in English from the University of Michigan. Lory is active with BOMA, were he is part of the MOB Planning Committee, and the National Investment Center for the Seniors Housing and Care Industry, where he was a member of the Future Leaders Council. Mr. Buehner works on Medical Office / Medical Property transactions at Capital One Healthcare. During his tenure, he has experience originating, structuring, underwriting and managing Medical Properties loans at GE Capital and now Capital One Healthcare. During this time he has helped originate 90+ healthcare deals totaling $1.75B+ in loan commitments, led the underwriting of 60+ healthcare real estate transactions for $1.5B+ in loans and managed a $500MM portfolio of medical properties loans. Stephen B. Coulston, AIA, is a principal in the Austin, Texas office of the global design firm Perkins+Will. With a passion for working within the innovation economy, Coulston has found his 25-year career has been spent working at the intersection of the higher education, healthcare, research, and government sectors with a focus on strategizing, planning and designing the built form. As an architect, urban designer and campus planner, he has led projects ranging from complex, multi-million dollar building programs to long-range strategic master plans. Among Coulston’s extensive experience in the innovation sector are prior planning projects for the University of Texas MD Anderson Cancer Center, Texas A&M University Research Valley Biocorridor, the Tradition Medical City & Town Center, and the Medical Center of the Americas Biomedical Research & Technology Park, among others. With a personal mantra of “process matters,” Coulston cross leverages skillsets of institutions, organizations, communities, and businesses in a way that fosters creativity, dialogue and newfound opportunity for success through transformation and a focus on actionable outcomes. Coulston holds a bachelor of architecture from Texas Tech University. He has written and contributed to numerous articles and publications and has been a guest speaker and panelist at conferences and symposia throughout the country. Kent’s healthcare work has varied from small, focused interventions within existing facilities to large-scale, free-standing buildings. He is guided by an understanding that each project, regardless of its size or scope, is an opportunity to realize improved processes, efficiencies and outcomes. Kent develops long-term client relationships while also earning national awards for design excellence. Beyond design quality, he is also a champion for alternate, collaborative delivery methods on complex projects, such as: Design-Build, Design-Assist and Integrated Project Delivery. His pursuit of these areas of expertise led to Kent completing Stanford University’s Center for Integrated Facility Engineering (CIFE) program. LaRae Eggleston has 17 years of experience in the healthcare industry. The focus of her career has been in ambulatory development, physician contracting and recruiting and hospital administration. LaRae started her career developing and managing outpatient imaging centers for Envision Radiology. She spent eight years as a Vice President of Strategy and Business Development for Centura Health where she developed multiple joint ventures with physician groups, and acquired multiple MD practices to include surgery, imaging and GI centers. LaRae oversaw multiple employed physician practices and successfully recruited or integrated over 900 physicians while at Centura Health. LaRae led the development of a Centura system-wide Urgent Care and On-Demand care strategy for the front range of Colorado. Additionally, she successfully developed a clinically integrated network of over 900 providers in three counties in Southern Colorado, oversaw a Medicare Shared Savings ACO and Medicaid Regional Care organization. Both plans produced shared saving distributions and lowered the overall cost of care at the end of year one. LaRae received her MBA from Regis University in 2007 and is Fellow in the American College of Healthcare executives. 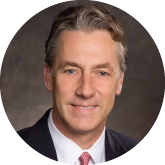 Mark D. Engstrom has served as Executive Vice President – Acquisitions and has served as a Corporate Officer with Healthcare Trust of America, Inc. since 2009. Mr. Engstrom has over 29 years of experience in both healthcare operations and real estate including organizational leadership, acquisitions, asset management, project management, and leasing. Prior to joining HTA, Mr. Engstrom was the Chief Executive Officer of Insite Medical Properties, a real estate services and investment Company and spent 5 years with Hammes Company advising health systems across the U.S. Mr. Engstrom started his career as a hospital administrator at Good Samaritan Hospitals after receiving his Master’s Degree in Hospital and Healthcare Administration from the University of Minnesota and undergraduate degree from Michigan State University. Teresa Eoff, recently rejoined Siemens Financial Services, a wholly owned subsidiary of Siemens, AG, and is responsible for the origination of Healthcare Real Estate Loans throughout the US. Additionally, she is responsible for other healthcare product origination via the management of client relationships throughout the Central and Southwestern US. Prior to rejoining SFS, Teresa was a Senior Vice President of a Texas regional bank and was responsible for it’s Corporate Banking Team along with originating real estate transactions. Throughout her 20 year career at regional and mega-banks, Teresa has provided financing for national developers, investors, and REITS. 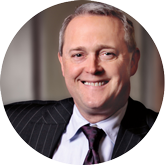 Scott has over 30 years of experience in the real estate and investment banking industries. His experience includes the sale of medical office building portfolios, structured healthcare real estate financing, developer selections, facilities management outsourcing and numerous other transaction and advisory assignments on behalf of clients. In his career, Scott has completed transaction and advisory assignments involving health care real estate valued at over $2.5 billion. In 2008, Scott completed the largest medical office building portfolio sale in the country for Carolinas HealthCare System, a 15 building portfolio which sold for over $162M. Scott was a Partner at Ernst & Young, where he led E&Y’s Health Care Real Estate Advisory practice for the southern United States. He was more recently a Managing Director in the Real Estate practice at Cain Brothers, a healthcare investment banking firm. His clients have included Carolinas HealthCare System, BayCare Health System, Baylor Health Care System, Memorial Hermann Health System, Northside Hospital, Orlando Health, RegionalCare Hospital Partners, St. Joseph’s Health System, HCA, Inc., Bayfront Health System, University of Kansas Hospital, Piedmont Health System, University Health System, Calvert Memorial Hospital, MedWest Health, Cleveland County HealthCare System, King’s Daughters Medical Center, Infirmary Health System and many other hospitals, health systems, developers, investors and physicians. Scott holds a Master of Business Administration in Finance and a Bachelor of Arts in Telecommunications, both from Indiana University in Bloomington, Indiana. He is a licensed real estate broker in 12 states, and currently serves as the Co-Chairman of the BOMA Medical Office Conference, the healthcare real estate industry’s largest annual event. is currently a member of The Real Estate Council (TREC) and on the Foundation Board. Jim Gray has benefited from 25 successful years of experience in the Real Estate Industry. His career experience includes brokerage, leasing, development, property management and facilities management. 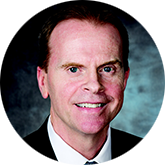 Before joining HCA, Jim was Executive Vice President with the Dallas Market Center, a Trammel Crow Company, and Regional Facilities Director for Lucent Technologies. In 2002, he joined Lincoln Harris CSG, as Area Manager. His 8 years with Lincoln Harris began his career in the real estate healthcare industry, which provided Corporate Real Estate services for Healthcare Companies such as HCA and HCP. Jim joined HCA in 2010. In his current role as Director of Real Estate, his responsibilities include all aspects of transaction and asset management. Jim received his BBA from North Texas University in Management and Marketing. Chad Henderson has been a successful serial entrepreneur for over 14 years allowing him to interact with a variety of leading hospitals, health systems and medical groups nationwide. Chad is the Founder of Catalyst CRE—A THG Investments company and has served as the Chief Executive Officer since its formation. Throughout his career, he has developed numerous partnerships between hospital executives healthcare providers and physicians to design optimal clinical environments that promote speed to market and improved patient access. Chad’s experience includes development of medical office, specialty facilities, surgery centers, wellness centers, and urgent care facilities. Henderson has focused on assisting healthcare deliveries with integrated real estate strategies, service line planning and physician alignment implementation. Jason oversees the asset and property management for Caddis’ owned and third-party management portfolio, consisting of over 2.5 Million square feet across the U.S. He has a thorough understanding of how healthcare facilities are developed and operated, and brings a long term approach to each new project. He is deeply interested in how healthcare will be delivered over time, and has a knack for aligning the interests of multiple parties. Prior to joining Caddis Partners, Jason served as Executive Vice President with Brackett Flagship Properties, where he sourced development and acquisition opportunities to fuel their portfolio growth. Prior to that, he served as a Senior Vice President with Duke Realty from 2007 – 2011, overseeing development and operation of their Southeastern healthcare portfolio which more than doubled in size under his watch. Jason began his career at Cogdell Spencer Advisors where he spent 17 years and was responsible for the oversight of new project development and property management in the Carolinas and other areas where CSA developed new facilities. He is experienced in site analysis/design oversight; building programming, sizing, layout and design management; project capital budgeting and pro-forma analysis; construction and contractor management; financial oversight through the development phase; negotiation of leases, financing and other key legal documents; and oversight of operations to include asset management, marketing and leasing activities. Jason works hard to ensure a positive outcome, and looks to the repeat business he won with many of his clients as one of his greatest accomplishments. He hold a MBA from the University of South Carolina and a Bachelor of Arts from the University of Pittsburgh. Travis Ives is a Director with Cushman & Wakefield’s Healthcare Practice Group providing real estate transaction and advisory services for a variety of clients across the entire spectrum of healthcare facilities including medical office buildings, ambulatory surgery centers and acute care facilities. Travis began his career in commercial real estate in 2005 with Transwestern in Phoenix. Working on behalf of medical office investors/developers and local health care providers, he developed his expertise in the leasing and sales of medical office buildings as well as other healthcare facilities. While with Transwestern, Travis represented Abrazo Healthcare (previously owned by Vanguard Health Systems, now Tenet HealthCare) on various high-profile transactions that helped to reduce occupancy costs and expand market share in the highly-competitive Phoenix marketplace. With an extensive resume of healthcare real estate experience, Travis returned to his home State of California in 2010 to join Cushman & Wakefield’s San Diego office and help establish a West Coast presence for the company’s Healthcare Practice Group. Travis quickly earned exclusive engagements with both Rady Children’s Hospital and Palomar Health, two major health systems in the San Diego market. Since joining Cushman & Wakefield, Travis has consistently been one of the company’s top producing brokers on the West Coast focused exclusively on healthcare real estate. Kevin Kirn serves as Vice President of the Outpatient Medical Group of Health Care REIT. He assists in the development and execution of the Outpatient Medical Group’s investment strategy. He is also responsible for sourcing and managing strategic relationships with leading health care providers, physician groups, academic medical centers, developers and brokers throughout the investment process. Mr. Kirn has spent 30 years as a commercial real estate executive with responsibilities including development, construction project management, operations, leasing and financing. He has advised numerous Fortune 500 firms on their real estate programs and was a founding member of CBRE’s Health Care Advisory Group. Mr. Kirn received a Bachelor of Science degree in Civil Engineering from the University of Notre Dame and a Master of Science degree in Project Management from the University of Texas at Austin. He also holds Graduate Certificate in Real Estate from New York University’s Schack Institute of Real Estate. Mike recently joined MBRE Healthcare Group to help lead the company’s new business development and strategic client management activities. In this capacity, he will work with hospital and health system executives nationwide in reconciling growth and care delivery strategies with real estate considerations and capital constraints. Mike has substantial experience in both healthcare and fi nance, and will utilize his extensive network and resources to help further the team’s goals and operations. Mike brings more than 27 years of experience to his new role with MBRE Healthcare. He most recently served as an executive vice president of Business Development for Lillibridge Healthcare Services, a subsidiary of Ventas, Inc. He was also a founding member and managing director of General Electric’s Healthcare Financial Services Strategic Relationship Group in Chicago, and previously spent 10 years at Bank of America (and its predecessor fi rms) in the areas of transaction origination, corporate fi nance, debt capital markets, and interest rate risk management. Mike began his healthcare career as a marketing representative for Baxter Healthcare and was a licensed Emergency Medical Technician for more than 10 years in Texas, North Carolina and Illinois. 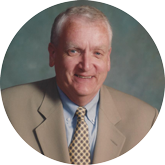 Mike is a member of the HFMA’s First Illinois Chapter and the American College of Healthcare Executives. He is a frequent speaker to healthcare industry and real estate groups on the topics of innovation, disruptive change and capital formation. He also currently serves on several local charitable organizations including as Secretary and Member of the Executive Committee at Bishop Anderson House and the Board Member of Lake Forest High School Hockey Association. 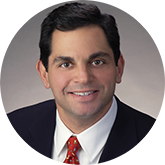 Gino Lollio is a vice president investments of Marcus & Millichap and has become one of the leading healthcare real estate investment specialists in the country, co-leading a team alongside his business partner Scott Niedergang. Based in the company’s Chicago Downtown office, Lollio specializes in medical office property investments and serves as a senior director of Marcus & Millichap’s Healthcare Real Estate Group (HREG). Over the course of their careers, the pair have closed transactions valued at over $450 million over $584 million. Just earlier this year, their team completed a $131 Million Chicago Medical Office Building portfolio anchored by the Illinois Bone & Joint Institute, as well as a $117 Million portfolio consisting of twenty 21st Century Oncology radiation clinics located in five states. Lollio has been honored with several of the firm’s national awards. He is a graduate of the University of Michigan. Kathleen Margolis recently left her role as a Firmwide Leader of Gensler’s Health & Wellness Practice and is forming a health industry real estate services alliance called Condottiere. Kathleen has worked in the healthcare industry over the past 30 years on assignments from management of a community hospital system, to development of new facilities including MOB’s, hospitals and clinics. Based in Houston, her work with clients in Latin America and the Caribbean, as well as Asia and across the U.S. provides a global view for repositioning physician offices, real estate investments for new lines of health services, and plans for reuse of obsolete facilities to accommodate the new model of care delivery. Kathleen holds a business degree from DePaul University in Chicago, is an active member of ASHE and former president and current member of CREW Houston (Women in Commercial Real Estate). Paul McCleary is Vice President – Business Development for Medistar Corporation a full-service real estate development company based in Houston, TX. Healthcare has been Medistar’s primary focus for over four decades: from the innovation and development of physician-partnered integrated medical plazas in the 1980s to a full spectrum of advanced, adaptable facilities to meet the need of providers and patients across the continuum of care of today. A partial sample of current projects includes Bay Area Regional Medical Center in Webster, TX, Medical Plaza 1 at The Hospitals of Providence Transmountain Campus in El Paso, PAM Rehabilitation Hospital of Tulsa and the 21-story, 353-key InterContinental Medical Center in Houston, TX. Paul’s career in commercial development, design and construction spans 29 years, with a primary focus in healthcare since 2002. He works closely with Founder and CEO, Monzer Hourani, P.E., to create new business opportunities and expand Medistar’s strategic relationships nationwide. 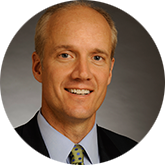 Paul is a graduate of The University of Texas at Austin, earned an MBA at The University of St. Thomas (Houston, TX) and is a longstanding member of the American College of Healthcare Executives (ACHE). 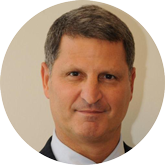 Jay Miele is a Managing Director in the New York office of Hammond Hanlon Camp LLC, assisting in the firm’s real estate investment banking activities including single asset and portfolio dispositions, sale/leasebacks, mergers and acquisitions, and institutional capital raises. Mr. Miele’s experience spans the full spectrum of healthcare real estate with particular emphasis on medical office buildings, outpatient facilities, hospitals, and seniors housing and long-term care facilities. Before joining Hammond Hanlon Camp LLC, Mr. Miele was a senior vice president of the healthcare real estate investment banking group at Shattuck Hammond Partners where he advised numerous for-profit and not-for-profit health systems and public and private real estate owners and developers on their healthcare real estate portfolios and development projects. Prior to Shattuck Hammond, Mr. Miele was a vice president at Jones Lang LaSalle in the New York Capital Markets Group where he was involved in the disposition of more than $2.5 billion in commercial real estate transactions across multiple asset types. Mr. Miele began his real estate career at a Washington, D.C. based boutique provider of real estate investment and management services specializing in the placement and management of endowment, trust and pension fund capital. Mr. Miele received an M.B.A. from American University and B.A. from The University of Michigan. Will is a Senior Vice President and is primarily involved in the investment activities of Hammes Partners. Prior to joining Hammes Partners, Will was a Vice President in the Medical Facilities Group at Health Care REIT (NYSE: HCN). While at Health Care REIT, he transacted with hospitals, large physician practices and developers. Prior to this position, Will led the medical facilities group for General Electric’s healthcare real estate platform. Will offers over 25 years of healthcare real estate experience. He earned his B.S. in Accounting from the University of Alabama. Jim joined PMB in 2001 and specializes in managing the development of healthcare projects and acts as principal liaison between the company, hospitals and physician tenants. Jim has developed over three million square feet of medical space throughout the United States, including projects as large as 235,000 square feet. Prior to joining PMB, Jim managed the western United States region for Mediplex Medical Building Corporation. Jim was Vice President of Cabot, Cabot & Forbes from 1987 to 1989, where he managed the Healthcare Services Group and was responsible for the planning and development of medical projects nationwide. Jason joined Ochsner Health System in 2007 and currently serves as the Director of Corporate Real Estate, where he is responsible for the overall strategy and performance of the system’s portfolio of medical, office, land and multi-family assets. Prior to joining Ochsner, Jason served in progressive management roles with public and private real estate firms across the Southeast. He holds a BA in from Millsaps College and lives with his family in New Orleans, Louisiana. Sid Sanders is the Senior Vice President for Construction/Facilities Design and Real Estate Management at Houston Methodist. He is responsible for a $3.5 Billion capital construction program, oversees a multi-hundred million dollar real estate portfolio and a two million SF medical office building portfolio. Houston Methodist has been named by ENR Texas-Louisiana as the 2015 Owner of the Year. In 2016 Houston Methodist was recognized as an Honor Role Hospital by US News and World report: the only hospital so recognized in Texas. This marks the fifth consecutive year that Houston Methodist has been recognized as the best hospital in Texas. Prior to joining Methodist, Mr. Sanders served as the Associate Vice Chancellor for Facilities Planning and Construction for The University of Texas System where he was responsible for a $5.0 billion capital construction program for UT System. Mr. Sanders received a professional degree in Architecture from University of Texas at Austin in 1978, graduating w/ Honors and an MBA in Finance from University of Texas at Austin in 1990, graduating Beta Gamma Sigma. Mr. Sanders is the co-author of the book “Program Management 2.0” recently published by Construction Management Association of America, concerning concepts and strategies for managing building programs. From 2005 to 2013 Mr. Sanders assisted with the planning, design and construction of the George W. Bush Presidential Library. Mr. Soderlund is Executive Vice President of Strategic Relationships for Brackett Flagship Properties and focuses his efforts on leading and overseeing the development and growth of strategic, profitable new business as well as developing and enhancing key client relationships. Gordon brings over 15 years of medical real estate industry experience and has extensive knowledge of the healthcare industry's trends and challenges. Previously, he served in a variety of capacities that include finance, investment, asset management, business development and client relations. Gordon has been a speaker and moderator at various industry conferences including the American College of Healthcare Executives, American Institute of Architects, Becker’s Hospital CEO Roundtable and the Healthcare Financial Management Association. He also served four years as co-chair of the prestigious BOMA International Medical Office Buildings and Healthcare Facilities conference during which it exhibited exponential growth. Thomas "Tommy" W. Tift is President, CEO and Founder of HealthAmerica Realty Group, L.L.C., a 15-year-old, Atlanta-based real estate company that specializes in Medical Office Buildings only. HealthAmerica currently has management and leasing assignments for over 1,800,000 square feet of medical office space across the Sunbelt with offices in Atlanta, Tampa, Jacksonville, and Southern California (Aliso Viejo). HealthAmerica’s clients include the healthcare REITs, hospitals/health systems, physicians, institutional and individual investors who own medical office buildings. Tommy has over 25 years experience in the medical office building/healthcare real estate industry encompassing development, investment brokerage sales, leasing, financing and repositioning/workouts of medical office buildings and healthcare facilities throughout the United States. Sam Totos has more than 15 years of experience in the healthcare industry, the past ten years as Manager of Healthcare Real Estate for Walgreens. He manages the Walgreens regional healthcare portfolio from transaction to opening along with ongoing asset development. Sam’s primary focus is executing Walgreens healthcare growth strategy with the goal of improved accessibility. 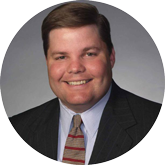 Daniel Turley serves as a Vice President for Healthcare in the Capital Markets Group of JLL. Daniel has over 10 years of commercial real estate experience that includes investment sales, equity raising, underwriting, loan sales, asset valuation, portfolio and relationship management and business development. He has underwritten and deal managed over $5 billion of real estate debt, valued over $12 billion of real estate debt and sold over $2 billion of real estate of which $1.5 billion has been healthcare related. While currently focusing solely on healthcare real estate, his background includes expertise in multifamily properties, office and retail assets, industrial parks, self-storage facilities and hotels. He has relationships with a multitude of capital funding sources including healthcare REITs, private equity, pension fund advisors, securitization groups, commercial banks and finance companies. 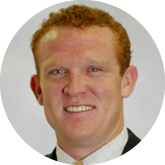 Prior to joining JLL, Daniel worked at Bank of America, CB Richard Ellis, Countrywide Commercial Real Estate, Eurohypo AG and Merrill Lynch. Julie Wilson leads the leasing and management teams for Healthcare Realty’s 29-state, 11.8 million square foot portfolio of medical office properties. She joined Healthcare Realty in 2001 as part of the firm’s development group. Ms. Wilson began her commercial real estate career in 1993 as a leasing agent for Harbor Group Commercial in Norfolk, Virginia. She has also worked in healthcare investment banking for Jefferies & Company and J.C. Bradford & Co. Leading SmithGroupJJR’s Dallas Healthcare Studio, David has over 17 years of experience in the architectural field. He specializes in healthcare architecture and has extensive experience leading the planning and design of general long-term acute care, rehabilitation, psychiatric hospitals, cancer centers, ambulatory surgery centers, and medical office buildings. He continues to work across the country offering thought-leadership in data-driven design solutions.